The name suppression of a couple allegedly involved in committing at least $50 million worth of mortgage fraud with a banker and a lawyer, has been lifted. 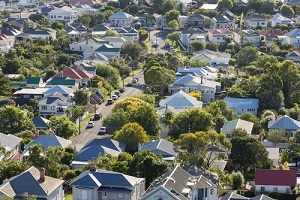 It can now be revealed the Serious Fraud Office has accused property developer Kang (Thomas) Huang and Yan (Jenny) Zhang of being involved in a ring that fraudulently obtained money to buy 76 properties around Auckland and Hamilton. The husband and wife duo are otherwise known as Gang Wang and Kang Xu. The SFO alleges the couple and their co-conspirators provided false information or documents, or withheld information from either BNZ or ANZ, to get loans to buy properties between December 2011 and October 2015. BNZ confirms it employed one of the accused, Zongliang (Charly) Jiang, as a mobile mortgage manager until October 2013. Meanwhile Jiang’s Facebook page says he worked at ANZ in 2013, and was employed by Westpac from 2006 until 2010. The other accused, Gang (Richard) Chen, is a non-practising lawyer. All four defendants have pleaded not guilty to the charges laid against them. They will appear in the Auckland High Court later this year, and will be trialled by judge from February 26 next year. The trial is expected to take 12 weeks. Huang and Zhang are behind the now defunct Green Gardens Finance Trust - a company the Financial Markets Authority in July 2015 made its first ever Stop Order against due to it offering investments illegally. The FMA warned the public to be wary of doing business with Green Gardens Finance, with the Order prohibiting it from offering, issuing and accepting applications for debt securities, and accepting further contributions, investments or deposits for debt securities. Huang has also made headlines in the Waikato; his now defunct company LV Park reportedly slowing the building of a property development in Tamahere as it “waited for funds” in 2015. Locals have accused LV Park of using its large (IE nine-bedroom) houses as student accommodation, turning the quiet area into a “pigsty”. Stuff reports LV Park built between 80 and 100 houses in the four years to February 2015. As for Chen, in 2015 he was censured and fined $5,000 by the New Zealand Lawyers and Conveyancers Disciplinary Tribunal after he admitted to accepting money from a client, but not paying it into the trust account he was supposed to, for some months. The Tribunal gave him a “final warning” that if further conduct of that nature occurred, his status as a practitioner would be “at risk”. He was ordered to reimburse the Law Society and Tribunal costs of around $16,000. Chen was in March last year also fined $1,000 and banned from driving for six months, for crashing his car while drunk. He is no longer on the Law Society’s Register of Lawyers. Huang (property developer) faces eight charges (two representative) of obtaining by deception and one of dishonest use of a document under the Crimes Act. These charges allege he unlawfully obtained funds of about $50 million. He also faces a Secret Commission Act charge of corruptly giving consideration to an agent, involving a $7,000 payment. Zhang faces 34 Crimes Act charges of obtaining by deception. It is alleged that by virtue of her offending, she unlawfully obtained funds of about $30 million. Jiang (banker) faces 25 Crimes Act charges of obtaining by deception, which allege he unlawfully obtained $17 million. He also faces one representative Secret Commission Act charge of corruptly accepting consideration as an inducement or reward, involving $235,000. Chen (lawyer) faces 11 Crimes Act charges of obtaining by deception in relation to allegedly obtaining $47 million, and one representative Secret Commission Act charge of corruptly giving consideration to an agent, involving a $511,000 payment. I hope the fuzz have been in and seized every asset that can be found. Otherwise if it's rental houses they can be just sold and the money will vanish over the border. @KH you are being naive , the money is long gone from these shores ............. we should revoke their citizenship and cut our losses and deport them back to where they have come from . What makes you think they're citizens? Deporting is probably playing into their hands. As a taxpayer, I'd be happy to put them away for 5-10 years if we're not going to see their stolen money returned. and they weren't importing millions of pseudo ephedrine pills. Ain't being a "International City" grand ? If you believe that you're dreaming. We should take a lead from the Australians and deport them. We New Zealanders are so trusting and hopelessly naive in our dealings with people , maybe because we dont expect it , or because many of us have not lived and worked in Asia or Africa ( or Latin America ) and seen the horrendous levels of fraud, graft and sharp practice which is commonplace elsewhere . That (was) Funny and so true Boatman. We are being played for fools by those that come from cultures where corrupt practices are considered normal everyday life. Yes i agree. But the thing is, I tell people about my experiences overseas......and they just don't believe me. Ditto, and occasionally get the racist tag thrown around because of it. This also highlights serious deficiencies in our banks' due diligence processes give nthe scale of the offending and the length of time it occurred over. If you're selling to the private sector, the procurement officer demands 10-20% commission (for themselves) be built into the contract price. If you're selling to the public sector, they expect 30-40% commission. That's the key purchasing contact at the buyer looking for money for themselves for choosing any supplier. There's 35,000 professional lobbyists in DC buying off politicians except it's called "lobbying"
They seem to believe a smiling face and hand shake means trustworthiness!! Ours is more nepotism. Everything is dished out to family and friends. Let's keep the comments to a high standard thanks everyone. Bubble Signs number eleventy - elevated levels of fraud. Even more interesting to me that they didn't verify the documentation was correct and took it at face value. I'd have thought that would be the very minimum level of document verification before granting a loan or any idiot with an inkjet printer and photoshop could get a loan for any amount. Helps to have one of the gang on the inside, and it appears that they did. I can bring many cases! When migrant does something wrong then all comes out!! Well put Bloody migrant. I went on Squirrel mortgages today, research to see how much a soul could borrow. An awful lot apparently . It starts its intro " Here's the thing. Banks want to lend to you. That's how they make their money. This means they'll often let you borrow more money than you can actually afford" "Once you've got a 20 percent deposit, you'll find banks will be prepared to lend you just about anything " Now of course companies like Squirrel take a slice every time you take on more debt than you can afford.That is how they make their money. Works well when prices have risen for so long. , of course no mortgage broker would gain financially by pushing that mortgage, nor fail to verify financial details of every Kiwi purchaser. Cowpat you seem to have conveniently missed the last bit of the statement that puts context around how much you can borrow "So unless you like living off baked beans and two-minute noodles, you’ll need to work out what you can borrow in real terms." your comment on brokers is flippant. The reality is that every adviser/broker deal goes through an assessor at the bank and then via Credit with multiple checks and post settlement audits. One example of dishonestly and a broker loses their livelihood forever. Sure some do. However, my experience as an adviser/broker and former bank GM is that most of the documentation fraud these days involves bank staff who have much lower levels of scrutiny. Fine fine words. But words. Because "Follow the money!" 1. Why do brokers accept trail commission and fee income and other soft commissions from banks when finding a loan for a borrowing candidate. 2. How can a broker work for a borrowing candidate and not be paid by that borrowing candidate? 3. If a broker does not work for a lending bank, why does the lending bank pay the broker? 4. If the brokers service and servicing of the borrowing candidate was of value, why would the broker not be happily paid by the borrowing candidate? Hey, credit where credit is due! Lets agree!. Lets from today give, give back to the borrowers, the trial. The trail commission. No more trails! Your one point worth tackling is the one about "who our advisers work for." You might be surprised that at Squirrel our Advisers are paid salaries and no soft incentives. Their income has no differentiation by lender and they get no "soft" incentives by lenders. Even where a lender has a different commission the advisers don't see that at all in their remuneration. They are also not paid trail and whilst we reward them for how much they do we also measure their NPS (net promoter score) right down to individual adviser as we see ourselves as a service business. None of these examples show systemic corruption and organised crime. The fraud case in the article does. Not even close to equivalent. Pretty mild examples to be honest bloodymigrant. Someone being boorish, someone speeding and being over the limit but not enough to lose a license (was legal just a little while ago) and some poor lad doing what lads do. Naughty local lads that should be given a telling off and then forgiven for they are our own. Corruption in NZ is low because Kiwis would be mortified to be found doing corrupt things. It really isn't in our culture. Public shaming is very valuable for keeping people law abiding without the involvement of the law and people are within their rights to point out that these people are visitors. Visitors should be on their best behaviour in a new country. It's outrageous to bring this sort of behaviour to our land and the punishment should be greater because of that. I firmly believe this. So you are advocating one law for our "own" and another for foreigners. That logic is a slippery slope to justifying just about anything. Persons of a certain ilk tend to propose harsh laws but don't seem to think they apply to them. "all animals are equal, but some animals are more equal than others" George Orwell , 1984. "Slippery slope" is a fallacy. Anyway judges all the time consider "circumstances" and "mitigating factors"when meting out punishments. We aren't talking about different laws but different punishments. In Europe the system has become so sick that locals are punished more harshly than foreigners for many crimes. Also an immigrant has agreed to abide by the rules as an adult and has effectively signed a contract on these terms as an adult whereas a local had no choice and was born into the culture. This gives the local extra rights to rebel in my opinion. I have no difficulty imagining a similar crime by a native Kiwi born and bred. However loss of citizenship seems appropriate when the corruption is so large. That certainly is the Aussie way. Note it may impact innocent children but then that applies every time a parent is sent to prison. But surely bob BadRobot will accuse you of "advocating one law for our "own" and another for foreigners" Our own people don't suffer loss of citizenship for their crimes. I read a news report how in Sweden they refused to deport a murderer because locals didn't suffer this fate for this crime. The Swedes have a point. I wouldn't deport someone for say stealing my wallet if I thought his hand would be chopped off in his country of origin. Seriously there needs to be a careful judgement. Less seriously if NZ threatened to kill any Kiwi expelled by Australia would they stop expelling them? all you have done here is some RE are not very good people, none of your examples included fraud. Well as fellow migrants my wife and I hate all rorts by migrants. All migrants fall into one of two classes (1) those who are proud of NZ and its history (warts and all), heritage and values and (2) those who are here to just to exploit the place. As members of the first group we hate being confused with the second. It just seems as if the Dept of Immigration is more worried about spelling mistakes on the application than they are bothered about checking character references. Bob don't you think that there are quite a number of different classes? Wouldn't you, as a migrant from an English speaking Commonwealth country (core-Anglosphere I assume) be rather better positioned to appreciate NZ's history, heritage and values? After all you were trained from birth to fit into this practically exact same culture. No. I think most immigrants arrive, work, get to know NZ and then choose to stay and apply for permanent residence. It is talking to PI, Chinese and Indian immigrants that I hear praise for NZ as a generally fair minded country and then hear favourable comparisons with their country of origin - which doesn't mean they have turned their backs on their place of origin. However standards have dropped and however good some immigrants are they all get tarred by the rabble - for example all those without good functional English who therefore cannot integrate. If you haven't noticed in other posts I'm pro-immigrant but strongly against the current volumes and totally evangelical against the widespread worker exploitation that is associated with our current policy. In that last sentence the word 'widespread' was most important. Bob, my memory eludes me - was it your son who would like to be a chef but faces the prospect of an industry that objects to paying more than $49,000 for a top chef? Not mine. He has just started a building apprenticeship. So in a few years time his income will be in line with the wages offered to the skilled immigrant builders Andrew Little wants to transfer from Christchurch. We are importing 3rd world wages - no problem for the elite who make these decisions. The young want-to-be immigrant chef has no problem - he just asks for $50k and then repays $30k back to his employer under the table. See Prof Stringer's report on worker exploitation. Of course not so good for a young Kiwi. As my retired NZ but ethnic Chinese friend says: she ran a fish and chip shop 20 years ago and it was hard work but reasonable money but she couldn't do it now because the current immigrants will undercut you - they work the entire family for nothing. Agree, that does seem to be the National tack: drive rents and prices up for property investors, drive wages down for business owners. Everything for their core voter bloc, at the expense of the rest of Kiwis. You could reasonably charged with racial profiling with that little outburst there Bloodymigrant; those guys could be immigrants as well for all we know. One thing that makes me suspicious (how often do we see it in fraud cases) is the multiple names. Some of these characters seem to use four or five names and it's not specific to one ethnic group. So are the people who own those 76 houses subject to investigation too? Would be funny if they were all guilty, then all sell at the same time (forced or otherwise) and leave the country to avoid jailtime. We will be left footing the bill with increased fees. I have to agree with Boatman on this. We have been far too naive in our dealings with other more, how shall I say it, "sophisticated" cultures when it comes to working one's way around rules and regs. I hope we have learnt our lesson and put things in place to guard against it in future, if it is even worth doing now, stable door, bolted horse and all. And I am happy to say, that I reckon this would be just the tip of an iceberg. You are right. When I lived in the third world the tales of corruption were always also tales of stupidity so I realised much the same could be happening in the 1st world but done with more finesse. I have an anecdote I can relate about this. I once received a nice new laptop from my employer. Two days later thieves smashed my car window and ran off with it. My fairly FOB immigrant colleague advised me to claim this on my personal insurance. I told him I couldn't do that as the laptop wasn't mine. He said the laptop was mine because my employer "gave" it to me. I said while I think that is not true and morally wrong my insurance only covered theft from the home. He said I should try anyway. I said that first I had no chance of recovery under my policy (stupid #1)and secondly I would be accused of trying to defraud the Insurance company and likely lose my ability to insure anything ever again (stupid #2) and thirdly I could just phone IT and they would replace my laptop (stupid #3 as all this tomfoolery was totally unnecessary!) and fourthly if my employer found out he would not be impressed and I would lose a fine reputation of honesty built up over decades (stupid #4). Corruption can be stupid on many levels. I suspect that all this would just be considered a bit of a fun game in my adviser's country of origin. "Nick Smith and his team are doing a great job"
People continue to fear foreign investment as the biggest driver of property prices even as figures show they account for very little of the total sales i.e. less than 3%. Hogwash, there is still no accounting for students and those on work visas and trusts, absolute and utter hogwash. Stats in this area reveal less than going to auctions and looking at who is bidding - always bearing in mind it could be my 75 year old chinese friend who was born in NZ or a white face like myself resident for 14 years (OK you could judge by our accents if we spoke). The nature of a free market means if there are 100 houses for sale and 100 buyers then prices stabilise but add just one buyer and then everyone will be afraid of missing out and all prices will go up; similarly remove a buyer and they go down. So 3% could be a market changer. That could well be true Bob. I don't think people understand the power of small percentages. It is a big thing in evolutionary theory and Blackjack. Two things I am quite familiar with. Just a tiny percentage over a long period of time can be profoundly trans-formative. I've had quite a lot of experience buying at auction (not property), and if there is any shortage of supply at all, the buyer with the deepest pockets sets the price for all the goods in the whole auction. So even a small number of buyers can increase prices markedly. those stats only show people that brought without a nz ird number, not the real number of non nz citizens buying and in what numbers. I trust the stats. You guys are kings and queens of conspiracy theory with anything that you don't agree with. Only 12% of the population think the house prices will decrease. Dude, when LINZ brought out the stats, they themselves said they were not accurate. I know we don't generally approve of anecdotal evidence but a previous rental I had through Barfoot's was owned by an offshore Korean couple via a NZ trust (which provided the IRD number I gather). The letting agent told me they'd been in NZ as visitors, set everything up then gone back to Korea and were a "nightmare" to deal with as they'd take so long to respond to emails etc and they owned several properties in Auckland. All above board and legal (I think) but they wouldn't have been included in the government's stats would they? And that folks is why the property market is flawed, dishonesty and greed to the core will be its undoing. You arent allowed to use the C word. Its not PC. I could swap in a few other C words! your not wong about that !!! Wow it's truly amazing how much people think they can get away with gaming the system. At what stage do you think they may have wanted to stop? After the first 5 million perhaps? Anyway this has all cost us very dearly just think of all those Boomers who have had to downsize or moved to the sticks to allow their children to afford a home with massively over inflated house prices. Do we know what stage of all the bank regulations and AML regulations finally kicks in or will National even all that to happen? Have the Chinese moved on to Iceland? I see Reykjavík has seen 20%+ house price inflation over the last year. I believe this is not caused primarily by Chinese investment but something else. If that something else still exists then these trends could continue. You have to look at what all these places have in common. Zachary, I have never been to Reijykijavík but their famous singer Björk (the singer of It's Oh So Quiet) does have Chinese features, so maybe the Chinese had already arrived there sooner than you think? You can get a good idea of the Icelandic demographics by watching this video of Monsters and Men, another highly successful Reijykijavík product. Björk half Irish apparently. Do I remember right that Iceland is the country with least immigrants and also the one where most people declared themselves to be happy. There is no surprise here, the writing has been on the wall for sometime. I have previously commented here about growing level of corruption in NZ. I left my country for overcrowding, corruption, nepotism etc and have first hand experience of its damaging effect on society and the its societal costs. There are systemic issues, Govt has been abetting and avoiding the issues for self interests and political expediency. The sad reality is that we as NZers have been voting same Govt for the last three elections (I voted for national first term) despite evidence of increased arrogance, bad governance and lack of accountability. Public have a responsibility to hold Govt to accountability by exercising vote , if this is not used judiciously then it will come to bite us back. God knows what's lurking under the surface while the government dawdle and delay on extending AML to real estate. Wonder why they're so reluctant to do anything about corruption and fraud. What motivation could they have, I wonder? Anecdotal evidence for sure, but still worth sharing. We recently had a new hire at my place of work, whose job it was to procure new parts. After around a month of work, he informed us that his Granddad had died, and we gave him a few weeks off so he could go back home and grieve. However, what it later turned out he was doing was setting up a new company in the east as a front. This company bought products from a supplier, charged +100% on them, and on-sold them to my place of work. Once we found out - there was no remorse from the man - just stated that that's how things are in the world - if my company was too stupid or trusting to get a good price then it would have to pay +100%. In his mind he was doing nothing wrong. It left me very much concerned about the cultural divide of values between the east and NZ.